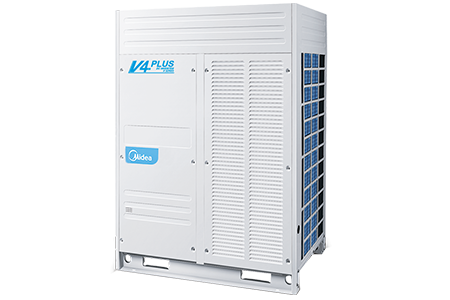 The capacity ranges of V4 PLUS S SERIES is from 8HP up to 72HP in 2HP increments. 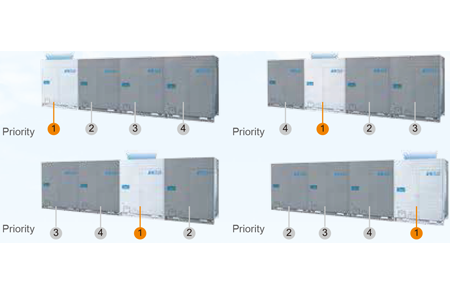 A maximum of 64 indoor units with capacity up to 130% of total outdoor units’ can be connected in one refrigeration system. 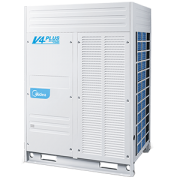 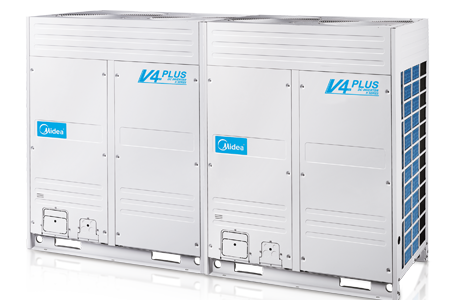 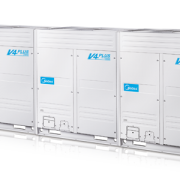 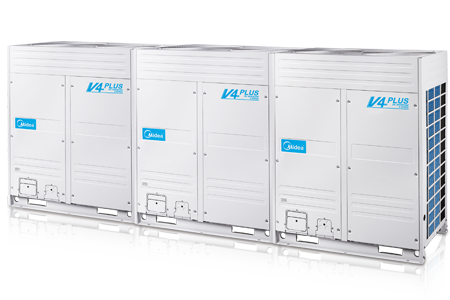 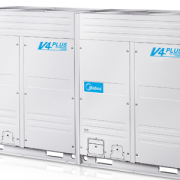 V4 PLUS S SERIES achieves the industry’s leading energy efficiency in cooling and heating by utilizing All DC Inverter Compressors, All DC Fan Motors, and High Efficiency Heat Exchanger. 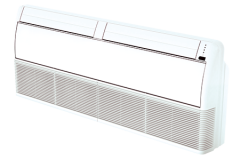 It supports an extensive piping length of up to 1000m and level difference of up to 110m, making it perfect for a wide range of applications including big-sized and high-rise buildings. 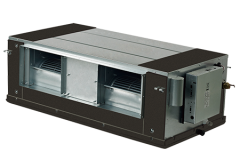 Wide range of outdoor units. 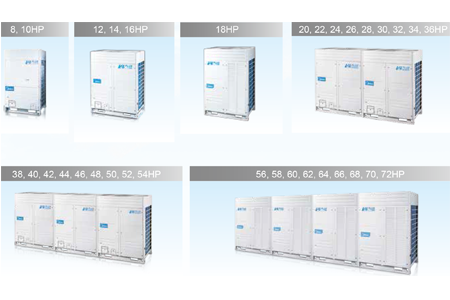 The outdoor units capacity ranges from 8HP up to 72HP in 2HP increments. 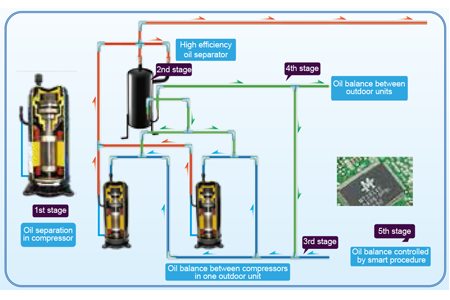 A maximum of 64 indoor units with capacity up to 130% of total outdoor units’ can be connected in one refrigeration system..
5 stages oil control technology ensures every outdoor unit & compressor’s oil always keep in the safe level, completely solve the compressor oil shortage problem. 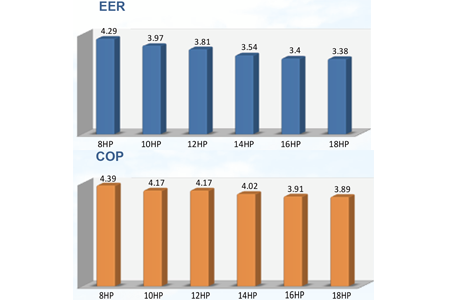 he cooling EER is up to 4.29 and the heating COP is up to 4.39 in the 8HP category. 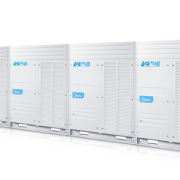 Thanks to the all DC inverter compressors technology, the running unit’s output will automatically adjust according to the real time load demands. 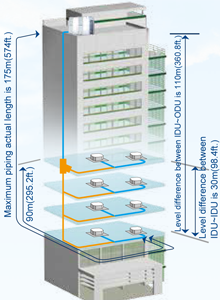 Units are always running at 40-70Hz which is the most efficient range. 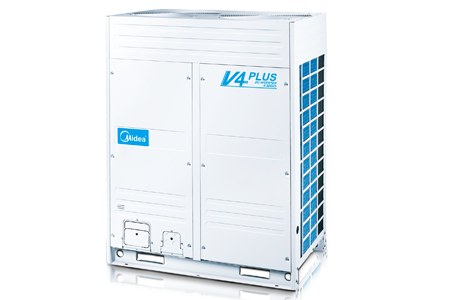 It makes units cost less energy and keep in good condition. 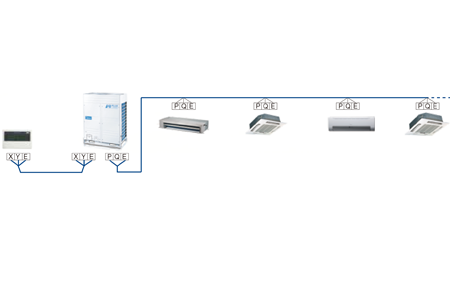 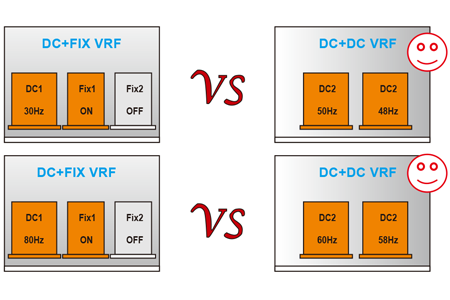 Centralized controller (CCM03 or CCM30) can be connected from indoor side or outdoor side (XYE terminals) at will. 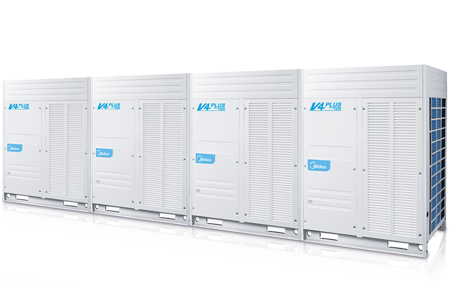 With one set of wires, we can achieve the network communication and system communication, making installation at site more convenient. 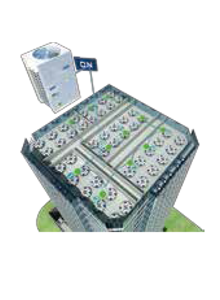 Outdoor unit can distribute addresses for indoor units automatically. 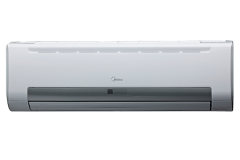 Wireless and wired controllers can query and modify each indoor unit’s address.